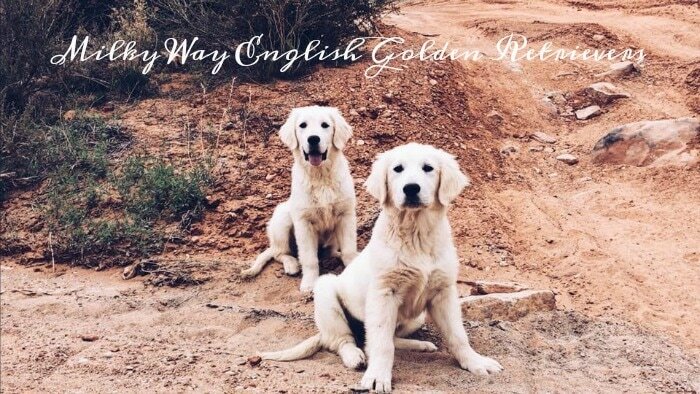 Step by step, we work to offer the healthiest, happiest puppies at Milky Way English Golden Retrievers. From selecting the most quality parents to delivering to our satisfied families, our process is up-front and simple! Developed by the military to enhance the intelligence, temperament, and trainability of their K-9's, this program is completed from day's 3-16 of a newborn puppy's life. It is a process of five techniques designed to activate the brain. Supine position: hold puppy for 3-5 seconds on it's back. Head held erect: hold puppy upright for 3-5 seconds. Head pointed down: hold puppy upside-down for 3-5 seconds. Tactile stimulation: tickle each puppy paw for 3-5 seconds. Thermal stimulation: place puppy on cold towel for 3-5 seconds. For a detailed article on the subject, please visit here. Did you know a puppy is born with an undeveloped immune system? For the first few days of its life, it receives the antibodies it needs from its mother. But as it grows, the puppy begins to need more stimulation of its immune and the mother can no longer provide everything it requires. few pet products manufactured in a FDA (human-grade) pharmaceutical manufacturing facility. Thousands of the nations top breeders, groomers and veterinarians use this revolutionary natural product on their own dogs and cats. It has been on the market now for over 15 years! Note: This product is NOT available to the general public without an Order Code (below) supplied by your Pet Professional. "We love animals and we know you love them too! Unfortunately, the majority of dogs and cats are not receiving a complete, healthy diet and many become ill and die prematurely. 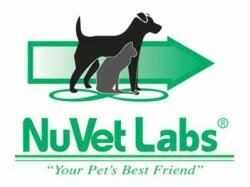 NuVet Labs™ main purpose is to help increase your pet's longevity and quality of life. Our products, NuVet Plus™ for Canines and NuVet Plus™ for Felines, provide the very best human-grade, natural ingredients available and utilize the latest advances in medical, veterinary and nutritional science. We pledge to adhere to the highest standards in products and services. Our goal is to maintain a lasting and caring relationship with our family of NuVet Plus™ customers and the pets they love. Our scientists, veterinarians and formulators began with the premise that most pet diets are lacking the proper amounts of vitamins, minerals and antioxidants. There are important nutrients that animals once received when they were living in a more primitive environment that are not available in the modern diet. Commercial pet foods contain numerous by-products that can make them poisonous, toxic and incapable of reducing the devastating effects of the unstable oxygen molecules, also known as "free radicals". Free radicals have been implicated in more than fifty health problems in humans and animals including various forms of cancer, heart disease, arthritis, cataracts and premature aging. After extensive testing with many different combinations of ingredients, our scientists formulated NuVet Plus™. We believe, based on the most current medical, veterinarian and nutritional reports, NuVet Plus™ will combat the onslaught of free radicals in our companion pets. This unique formula consists of precise amounts of vitamins, minerals and high-potency antioxidants that when combined, create a synergistic and powerful boost to the immune system." There are no sugars or fillers used in this product. They also offer a money-back guarantee on your purchase.